There are data points indicating that most data centers operate at 50% or less in terms of capacity efficiency. 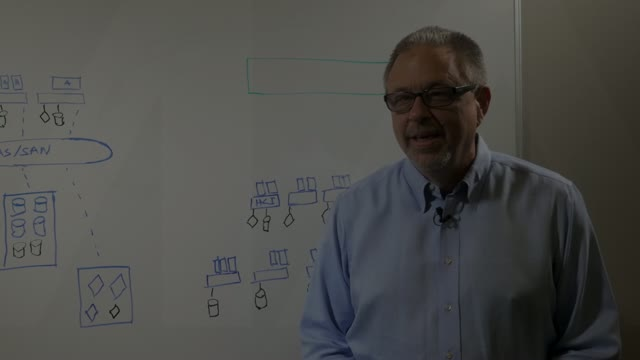 In this video Formation CEO Mark Lewis explains how the new feature works; FormationOne VSR or Virtual Storage Recapture. With Formation VSR storage can be easily added and removed from the environment so if some unused storage is needed on a particular array then the Formation system can dynamically free up the space. Its like getting free storage! Join this live session to learn more about how Dynamic Data Replication provides hybrid cloud replication and copy data management via FormationOne software-defined storage. This new architecture opens up entirely new opportunities for business continuity, disaster recovery and data repurposing from site to site and between on premise and cloud based repositories. Guest speaker Scott Sinclair from ESG highlights this interactive session which includes ESG market perspectives, a technical overview, live demonstration and "Ask The Expert" chat session. $50 Amazon gift card to be given away at the end of the session. Join us for this presentation which includes an in depth look at a number of case studies regarding customers that have successfully deployed the FormationOne software-defined storage platform. This interactive presentation will include a number of specific use cases with performance and ROI results to demonstrate the value and benefits of moving away from hardware based arrays and towards software based architectures. Much like mainframes of the past, the era of the storage array is over. From this point forward, software-defined storage is the predominant architecture to address the needs of the modern enterprise. For many infrastructure managers, this is already happening and being driven largely by modernization, consolidation and economics. Storage architects will be the first to conclude that unless you can provide enterprise-grade performance with strong governance and advanced data protection with a software-defined platform, it’s very difficult to justify for production applications. This presentation will detail how to deploy dynamic, software-defined storage infrastructure to transform storage from monolithic silos to an elastic pool of petabyte-scale storage resources, highlighting Formation Data Systems customer use cases to illustrate considerations and best practices to ensure success. Remember Fred? Our poor storage administrator? Fred is still faced with some challenges with his ummm data...and its turned Fred into a storage ogre. Fred's CIO is very unhappy. But watch as Fred deploys Formation and gets all of his stakeholders...we mean goats....to fall in line. Formation Data Systems presents GoatBusters Episode 2 Fred's in "DisArray". Poor Fred is trying to manage runaway data growth, plus, he can't plan or forecast. Thankfully, Fred discovers Formation! Now he looks like a storage rock star and even has time for some special projects! Goats are a great metaphor for the problems storage admins face every day! Goats, like data, can be hard to manage. Goats can live for 15 years– that’s as long as some retention policies! And raising goats is costly – just like your storage environment! So check out this video and see how Formation Data Systems can turn any hapless storage admin from a storage ogre to a storage rock star! Fabrice Medio is an engineering Vice President at Formation Data Systems. Fabrice explains how the proprietary, distributed, hyper-scale architecture was designed and how it enables reliability, scalability and resiliency. TimeLine™ provides full transactional data journaling (continuous data protection), cloning, and full or incremental snapshots without any additional object data copies or interruption to ongoing workloads. This feature can be automated to copy volumes according to a schedule and restore them to a point-in-time copy through the UI, CLI, or REST API. Hourly, daily, weekly, and monthly per-volume snapshots can be scheduled, with appropriate retention times for each snapshot. Snapshots can be created and deleted via the XDI interface and volumes can be cloned and exposed at any point in time without interrupting workloads on those volumes. Ameer Abbas from Formation Data Systems Product Management team contrasts back up with a traditional VMware environment with Formation's software-defined hyper-scale storage platform. Co-locating multiple workloads and applications on the same data platform often creates a “noisy neighbor” problem. One application might push excess I/O traffic and impact the performance of other applications, and in some cases, bring these other applications to a halt. PriorityOne™ enables administrators to prioritize workloads and dynamically throttle noisy volumes in real time. You set the volume’s performance policy by the guaranteed minimum IOPS and the maximum IOPS allowed, delivering consistent performance regardless of system loading. PriorityOne provides end-to-end quality of service (QoS) that prioritizes traffic at each component along the data path, enabling the ability to deliver performance at massive scale. FormationOne delivers the scale, simplicity, and agility of the cloud with the control and security of your enterprise data center.